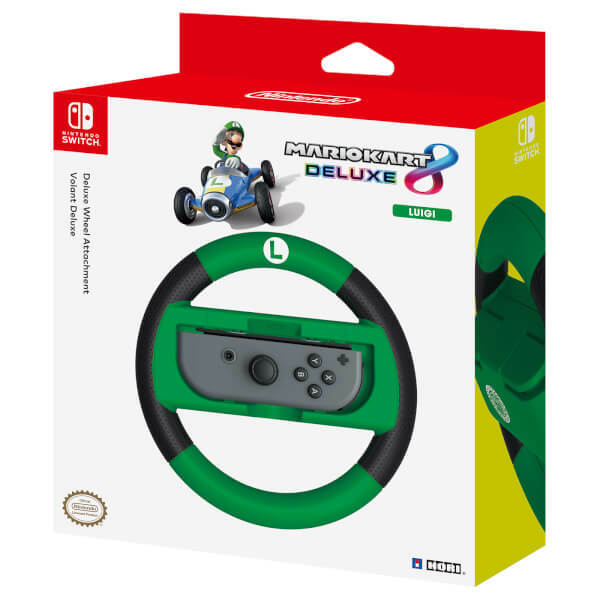 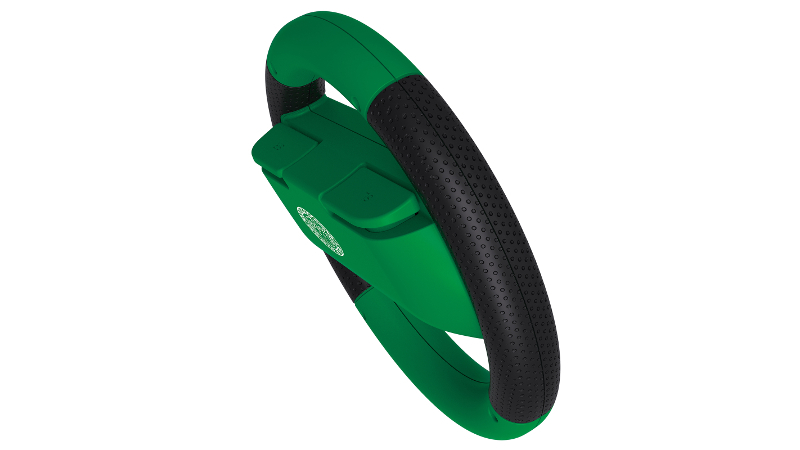 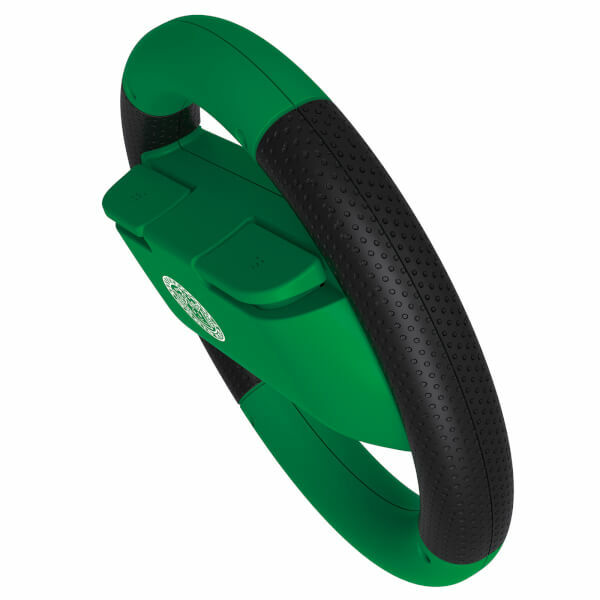 This pack contains one Nintendo Switch Joy-Con Wheel, with an iconic green Luigi design. (Joy-Con Controllers not included). 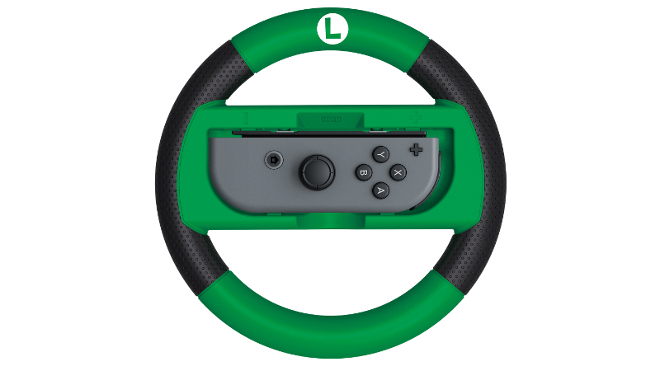 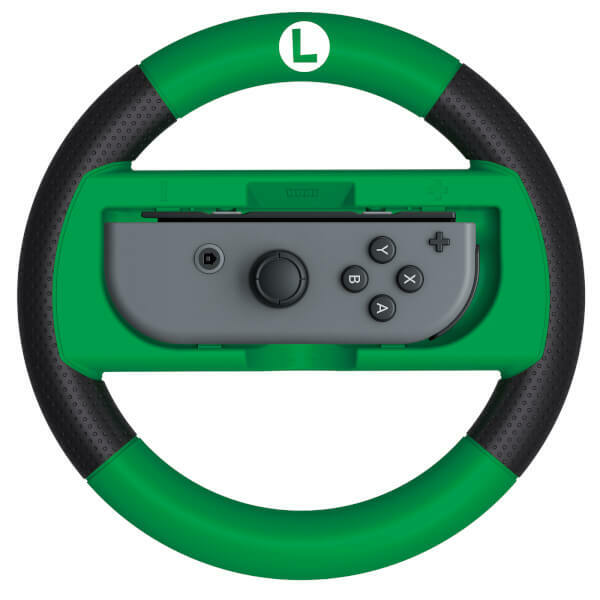 With a Joy-Con inserted into the Nintendo Switch Luigi Joy-Con Wheel, you can enjoy Nintendo Switch Games such as Mario Kart 8 Deluxe. 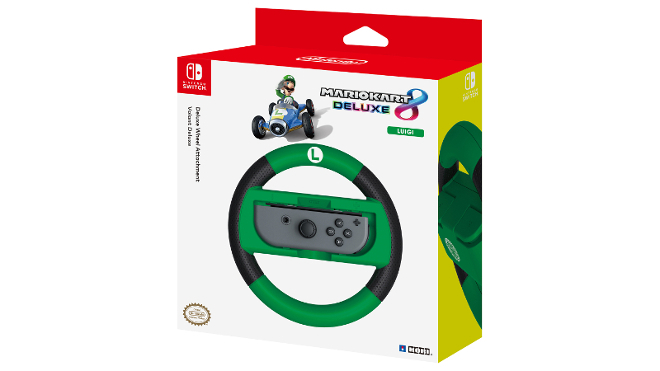 Its not bad, no real instructions on how it works in relation to the game but does work and my nephew really enjoyed them. Great little accessory, especially for the younger users. 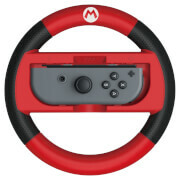 Great steering wheels, even if you don't use the tilt controls the button layout makes Mario Kart much easier to play, highly recommended, more colour options would be nice! 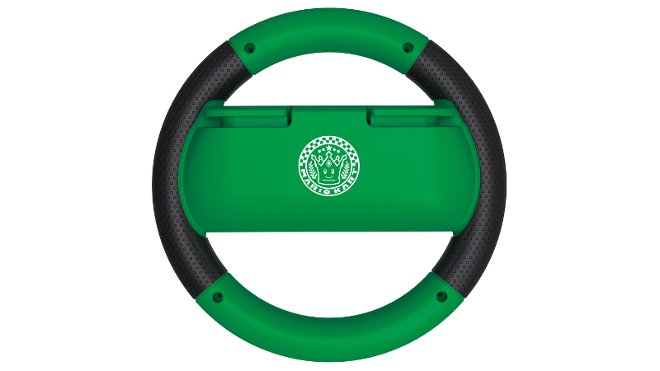 High quality loads of fun when you have other players playing with the same. all round good value fun.